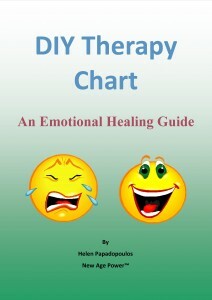 This simple, easy to use self-help guidebook assists you to transform a variety of negative emotions into positive ones. 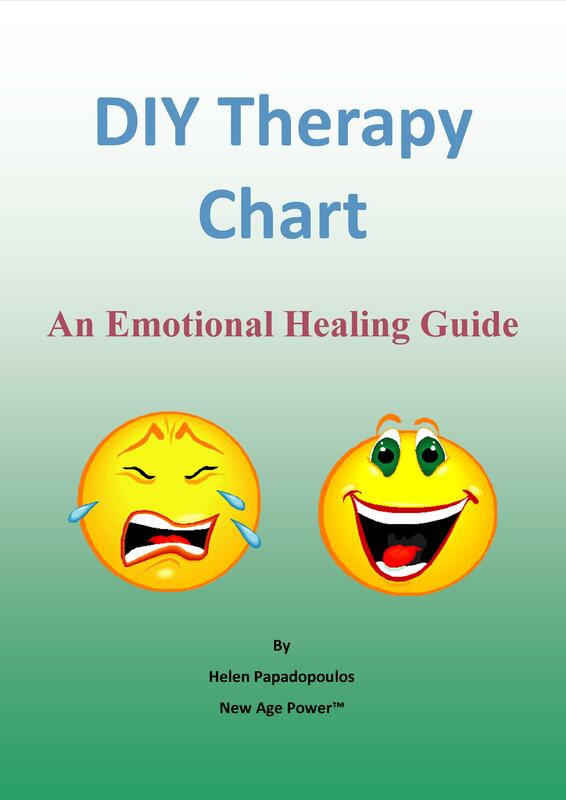 The Chart displaying the emotions consists of twelve main words listed in six pairs as shown below – the negative emotions are in red type, the positive emotions are green. All the pairs, with the exception of the final one, include three related words which give you greater choice when working through an issue – for example, ANGER also includes the words frustration, resentment and hatred, while ACTION has awareness, movement and transformation. DEPRESSION is almost always ANGER turned inward. It is about not getting what you want but instead of externalizing the hurt you hold it in thus experiencing disappointment and disillusionment. This may involve self-pity. If you do not get out of this frame of mind you will most likely experience despair. Sometimes DEPRESSION is confused with GRIEF because of the heaviness of both of these emotions. GRIEF follows a loss – sadness and sorrow in relation to what/who has been lost. DEPRESSION usually involves self-hatred. Hate is related to ANGER and this is what you are directing at yourself. GUILT might also be related to your self-loathing. This can be quite debilitating so if you reach a stage where you cannot function, get professional assistance. You heal DEPRESSION by having FAITH. That is, you must trust yourself to take the appropriate ACTION in order to get what you want, by being willing to wait – patience – for it to happen and to believe that all things are possible – hope. FAITH is about trusting God/Universal Energy or your Soul to assist you to fulfill your goals/dreams. Even when these things do not come to pass there are reasons which you may understand at some point in the future or you may not. This is also an aspect of FAITH. As a human being you cannot control everything. However, the way life turns out is often far more beneficial for everyone concerned than anything you could have imagined or created. GRIEF is about loss. It is a deeper emotion associated to the absence of what you want or love, hence the sorrow and sadness. When you cannot see a future without what/who has been lost this leads to inconsolability. It is almost impossible for you to be comforted or to ‘see the light at the end of the tunnel’. JOY is what permits you to see the light in the horizon. Even though it can be difficult to experience JOY when in such intense pain, you can start to feel better by having fun. That is, living in the moment by doing enjoyable things, for example drinking a good cup of coffee, eating your favorite meal, watching your favorite movie or taking part in a hobby. These activities will allow you to get in touch with who you really are which creates happiness. This will lead to enthusiasm about life once again thus assisting you to go about getting what you want, which may be very different from before the loss, or by allowing the new to come in replacing what has been lost. The ‘new’ may include a relationship, sense of purpose, job etc.